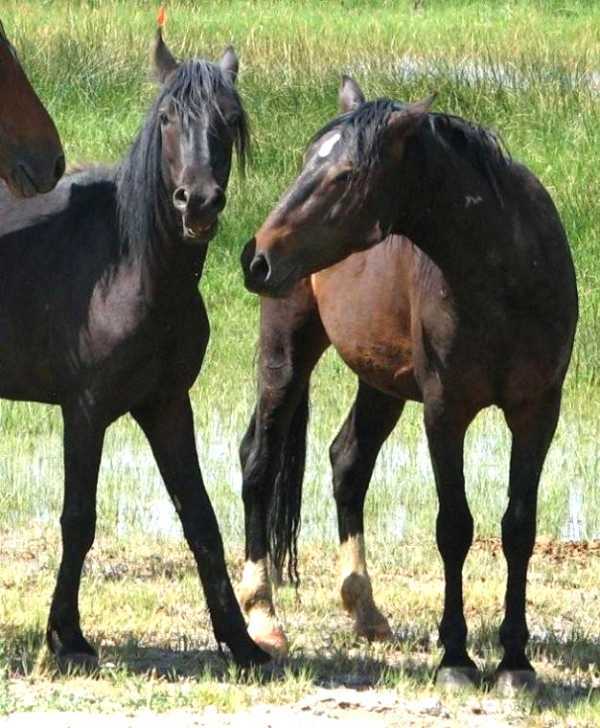 Issue: The Nevada Department of Agriculture's covert deal to send wild horses to slaughter dealer Kevin D. "Ole" Olsen. Statement of Events provided by Shirley Allen. The Nevada Department of Agriculture recently contracted with "kill buyer" Ole Olsen based in Elko, Nevada, for Olsen to receive 8 Virginia Range horses. These horses were transported in NDA equipment and by NDA Personnel on December 3rd, 2009, directly from the State corrals to Mr. Olsen. These facts have been substantiated. When wild horse advocates concerned about the procedures followed and legality of the sale questioned various NDA officials - from Director Tony Lesperance to the NDA personnel in the Elko office - all questions were met with vague answers or an attempt of virtually lying to the advocates with such verbiage as, "I have no knowledge of any horses being moved to Elko." The Elko office also met our questions with attempts to discern where we had gotten our information and then proceeded to deny any knowledge of horses coming from NNCC to Elko. The question in this matter is IF these horses were processed in a legal manner pursuant to Nevada NRS, why is this particular move being done without total transparency and the questions answered truthfully to the public? A horse welfare advocate group, Equine Welfare Alliance (EWA) based in Chicago, Ill. through their representative Laura Leigh made a formal request for public records relating to this transaction on December 4th, 2009. EWA, along with local horse groups and the Alliance of Wild Horse Advocates, are monitoring the matter closely. The formal request for public records from the appropriate parties on December 4th was followed up by telephone calls to the agencies involved that confirmed that the requests had been received. Is the NDA so afraid of the backlash of public opinion, even IF they have operated in a legal fashion that they have to run in such a covert manner, OR is the NDA possibly trying to "bait trap" the advocates into taking a reactionary stand with the intent of the NDA to produce the legal documents and notices at a later date in an attempt to discredit the advocates and watch dog groups? Regardless, the "big story" is the Nevada Department of Agriculture shipping Virginia Range horses to a slaughter dealer. The question of proper procedures and paperwork (or lack thereof) is secondary. This is NOT just a matter of citizens caring for the horses' welfare and management of our wildlife, it IS a matter of elected officials and Governor appointed officials NOT being truthful with the public and possibly NOT following the laws passed by our state government. The "good ole boy" "my way or the highway" tactics of circumventing state laws for personal or private agendas, is neither lawful or intact with serving the mandate and will of the people that entrusted them with their authority - that for quite a few years now has been completely abused and misused for personal gain or satisfaction. Until the statutes are changed legally in this state there are laws and procedures to follow. These are absolutely and totally innocent beings that are paying the price for greed and power mongering with their lives. The evasive actions and responses from the NDA regarding this situation illustrate a very childish game and tremendous waste of time. IF this matter was handled in the legal fashion dictated by law there is no need for lies and secrecy. Besides, these people are public officials and the public has a right to know what our tax supported agencies are doing. What kind of arrogance, ignorance and lack of compassion produces outcomes like this for another living being? The State of Nevada seems to have a deep and poisoned well of corruption that at this point in time serves only the self appointed elitists and those that believe they are "entitled" to the detriment of the horses' lives and our right to have a voice in their welfare. They apparently see the Nevada taxpayer and voter as virtually inconsequential, all the while turning a completely deaf ear to public response and input. This matter is just another undeniable example of the elected and appointed bureaucrats forgetting and ignoring the people that elected them to their posts and absolutely forgetting WHO THEY WORK FOR in the first place! There ARE alternatives for these horses but the NDA refuses to work with long standing horse advocate groups or the public at large, and this "crisis" is totally of their own making. You can help drain this well of poison and restore the mandate of the public will of the people. But concerned citizens have to act! Note: Photo by Mona Armenta. Click on image for a full size view in a new window.